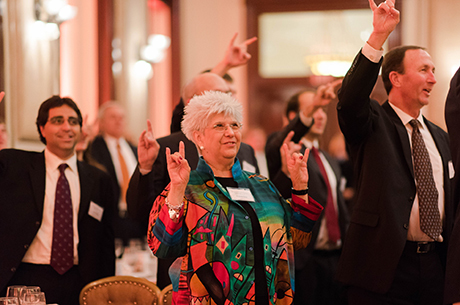 For 85 years, UT PGE alumni in the petroleum industry have been some of the most important and influential entrepreneurs and technology innovators in the world. Your success is a key contributor to PGE’s accomplishments. With more than 4,300 living alumni around the globe, graduates of the department are part of a tight-knit community dedicated to providing energy for the world’s people while stewarding the planet’s natural resources. We would love for you to stay connected by participating in our Alumni Gatherings, hiring students through Hire A UT PE, or by Powering Our Success. Alumni and industry support is critical to attracting the best and brightest future engineers, faculty who are the leaders in their field, and, of course, remaining a top ranked program.